Your site will always look sharp and utilize 100% of the screen on every device. If you have a business on the web design Costa Blanca is your chance to tell the world who you are, establish a professional reputation and show off your products and services to the best effect. Above all, it’s your chance to sell your products or services… but a web design Javea company that achieves all of the above can be hard to find. Every business nowadays needs a high quality website. After all; if you can’t be found online then you are throwing away a pretty decent marketing opportunity. This is where Web Design Costa Blanca will help you out. Our company is a professional web design company located in Costa Blanca. Our mission is to provide incredibly high quality websites to each and every one of our clients. This will help them to get noticed not only on the Costa Blanca but throughout the world. You will be surprised at just how much money a decent website can generate you! There are a number of companies who provide web design Costa Blanca which will grab a generic template, add a bit of text, and call it a day. These websites tend to be quite cheap as a result. You do however have to realize that not every business has the same needs. In fact; not a single business out there is exactly the same as another one. This is why a generic website template will not work. A website needs to be designed from the ‘ground up’ to meet the needs of the business in question. That is exactly what we do here. We take your needs into account and we design a website for your company. The result of having a website designed around your company is the fact that you are able to showcase exactly what your brand image is. As a business owner you should know that brand image is absolutely everything. It is the value of your brand which gets people purchasing from you as opposed to one of your other competitors. This is why you need a company like us providing your web design Costa Blanca. In addition to this; having your own web design carried out means that you are able to choose the features that you need for your business. As mentioned previously; there is not a single company out there which is the same as another one. What may work on one website may not necessarily work on another one. Rest assured; our team has the talent to ensure that you get exactly what you need on your website to assure that it generates the most amount of money possible. It is worth noting that web design in Costa Blanca should not only be about the look of the website. The website needs to be functional. It could be the ‘prettiest’ looking website in the world, but if the website visitor can’t find exactly what they need on your website then you stand zero chance of making money. Again; our team has the experience to help with this. When you work with our team that provides web design in Costa Blanca, we will work hard to determine what the overall goal for your website is. This could mean a client getting in touch with you looking for more information, a booking made at your hotel, or perhaps just a client purchasing something online. Once we have the overall ‘goal’ in mind, we will be able to work on your site to ensure that your website visitors actually meet this goal when they are on your website. This of course means that you are going to end up with a lot more money in your pocket…which is always a good thing. On top of this; all of the websites that we design here will be created from the ‘ground-up’ to make sure that they are easy to get ranking in the search engines. In short; they are going to be SEO-friendly. As you may know; no matter what company you are, the majority of your business is going to come through the search engines. When we design your site we will bear this in mind. We will make sure that it is easy for search engine spiders to have a browse about, and the text that we provide on the site will also be geared towards getting you the highest ranking possible. Obviously your on-site optimization is not the only piece of work that you will need to be putting into getting ranked in the search engines, but it is where a great deal of the effort is actually going to go. We basically lay the foundations for whatever Search Engine Optimization team you have on the case, and they are going to absolutely love the foundations that we lay because it will make their job a whole lot easier. As mentioned previously; our goal is to give you the website that you want. This is why we will carefully discuss the project in-depth with you before we actually start on it. This means discussing what you want from your website in terms of design, style, and features. We will of course listen to all of your suggestions (it is your website after all! ), but the experience that our team holds means that we will also be able to make additional suggestions that we believe will help your site make even more money and draw in even more visitors in the future. Remember; our goal is to ensure that you have the best website possible and we believe it is the experience that our team holds which will help you get to this point. All websites created by our team will be created to budget and on time. This means that you will have your website up and running exactly when you expect it to be. This means that you can start to generate cash through it sooner as opposed to later! If you wish to find out more about web design in Costa Blanca then please do not hesitate to get in touch with our team today. They will be more than happy to answer any questions that you may have about the services that we offer, and they will even be able to point you towards having your first website designed! Fresh Frog Design are a web design Javea and internet marketing company in Javea, on the Costa Blanca. Fresh Frog Design is a forward thinking company utilising the latest technology and advances in internet marketing for businesses targeting local or specific customers. SEO is an abbreviation for Search Engine Optimisation, a necessary process for all businesses to be found by their customers on the internet. In addition to SEO services, Fresh Frog Design also offers complete, optimised web design Javea, high quality email marketing, social media, and business development consulting. First impressions count. A professionally designed, modern, easy to navigate website can make a huge difference to your business, especially if you sell high value items. Every company needs more exposure, and new customers. General advertising is one way to use those advertising budget and get exposure. Paying to advertise to a general public that may never need your services is wasteful. SEO and professional Web Design Costa Blanca provides an economical and efficient solution to general advertising waste with local and SEO Marketing services and ancillary business development services. The design of your website is a solid testament of what you represent. Any kind of business will definitely benefit from a good web design but aside from the design, the ability of your website to rank among search engines is equally important. On these aspects web design costa blanca knows exactly what you need. Websites are built primarily to showcase products, services, personal ideas, philosophies and interest. Your web design is part of branding and marketing strategy whether you are selling something or for personal growth. Establishing an awesome presence on the internet through FreshFrogDesign would mean reaping all the positive results of whatever goal you want to achieve. An excellent website reputation will certainly attract audiences that will convert into followers and loyal patrons which you can easily persuade and maintain. Good professional website appearance matters but in reality, when it comes to you website there are lot of things that need consideration before you can launch for whatever purpose you have in mind. Website development is comprised of steps which web design javea will incorporate ensuring success for the new website. These steps should complement each other and should contribute to good user experience allowing the target audience to feel comfortable using the website. 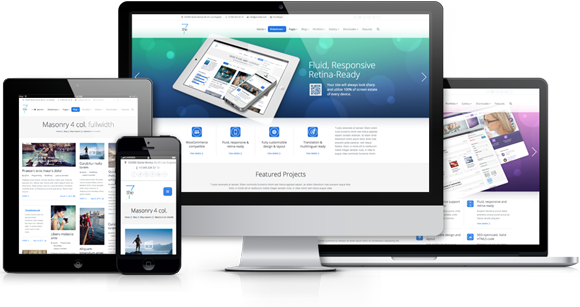 Responsive Web Design is one technical aspect that every web developer or website owner should consider. The ability of having a smooth transition of viewing a website from one platform or device to another is the most practical when it comes to web design. At web design Costa Blanca we make sure that our design will correspond with the anticipated user’s actions and chosen environment. The web design we create will certainly conforms to the changes from one device to another adapting to the screen size, orientation and platform. We will incorporate smart use of CSS media through a combination of layouts, images and flexible grids. 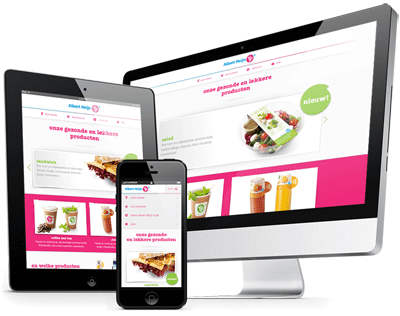 With most internet users owning multiple devices, the approach is to seamlessly incorporate a unique design that only web design javea can perfectly integrate. The switch between using an iPad to laptop to any other tablet or desktop will not be compromised since the website will automatically determine the required resolution, script, and image size. Web design Costa Blanca can easily eliminate the need to have several designs on your website which means total practically and cost efficiency. With fully integrated enhancements and the best practices in user interface, we at Web design Javea will see to it that our design will harbor the best user friendly experience. Many websites are developing numerous kinds of interface designs considering the savviness of users and reliable fast internet connection. With the dynamic changes of the user interface it will allow internet surfers to view and control huge amount of data quickly and easily. Our web design costa blanca team will expertly design a practical friendly interface that users can fully take advantage and manipulate with ease. Having a website that is easy to navigate will mean two things. First, users will find it easy to use and will keep their interest focused on the content. Second, a website that is easy to navigate will definitely help search engines look for the most important webpages that represent your website. Web design Javea is expert in designing web pages that are very easy to navigate benefiting search engines, but most of all allowing users to quickly understand the flow and content of your website. This will also help people who are searching for particular information to easily lead and direct them to your website. Incorporating the easiest way to navigate your website in which visitors will go from one page to another to gather specific data will make your website inviting and interesting, and this is what web design costa blanca can deliver to you. Majority of internet users who are navigating various websites will be easily turn-off if a website has a complicated navigational system and erratic content flow. Ease of navigation is very important in maintaining the readers’ interest keeping them glued on your website which will in turn benefit you and your business. When it comes to websites, looks truly matters. What good is the content or the ease of navigation when your website looks disorganize and disarray. That is why the experts from web design Costa Blanca will definitely make your website look good as perfect as the image you want to represent to your target audience or readers. Your business reputation will be judged by your website visitors initially, on how your website looks like on the basis of first impression. As the cliché goes that first impression truly last, it will determine if a user will decide to stay or leave right away. Web design Javea will ensure you that your website will not only perform good but will also be presented in a professional way that will make it visually appealing with stunning graphics and innovative designs. Designers at web design Costa Blanca will work towards achieving the excellent website appearance that you want at the same time innovate a user-friendly interaction relative in achieving your goals. Combining the expertise of web design javea you are definitely on your way in achieving your ultimate goal by making sure you’ll have the best web design that will generate success. Fresh Frog Design and with the web design costa blanca team there is always something amazing to expect with whatever look, performance, responsiveness and enhancement you require for your website. You are in good hands when experts of Web design Javea take care of the design as well as development of your dream website. Innovating ideas and executing a design that work towards the achievement of your goal is what web design Costa Blanca is all about. Why not check out some great resources about web design? Our Blog, The UK Web Design Association, Moz.com, or Web Designer Mag, we think you will find some interesting information on all of these links. Search Engine Optimisation is very simply, maximising your websites potential ranking on the major search engines, such as Google and increasing the number of visitors to your site. If you have a website that is intended to produce sales, then you need to do some form of SEO. I’m sure you are thinking “well they would say that wouldn’t they”. But the simple fact is, unless you have a business selling “yellow hens teeth in Javea”, then the chances of you getting ranked anywhere on the first page of Google, without some sort of SEO, are almost zero. Not being on the first page, means no visitors to your site. No visitors, means no sales. It’s a fact of modern business life that you NEED to get involved in social media. Sadly, with all the other pressures on you as a business owner, you probably don’t have the time. This is where Fresh Frog Design can help. 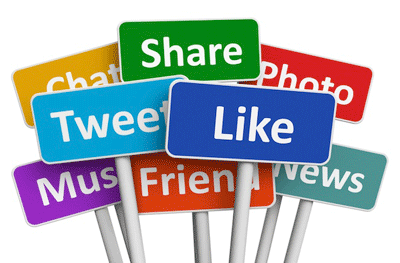 We provide a full social media service so that you can be involved, but without the hassle. See below for details. Many companies use social media in the wrong way, they just see it as a way to advertise their business, and this is a big mistake. Fresh Frog Design also provide photography and video services to go along with our web design and SEO. 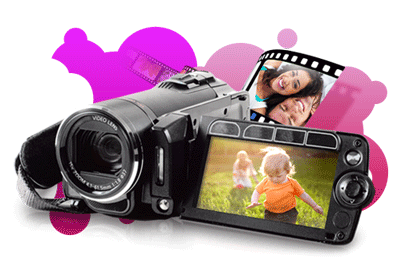 We create stunning videos, and photographs to enhance any website, or property listing. We have found through experience that professional photography of your rental property improves bookings, and rental rates. We also provide on-line marketing packages for property owners, giving you everything you need to maximise your rental potential. Our packages include everything from just a website, to photography, video and even email marketing. What do we mean by email marketing? Well we don’t mean spamming as many people as possible with junk mail trying to sell our products and services. 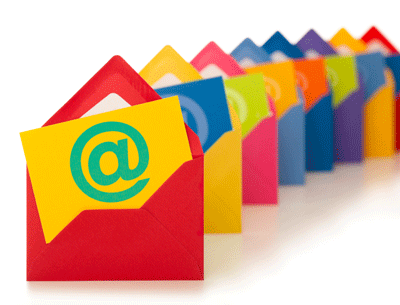 Email marketing is an absolutely essential tool for today’s on-line business. 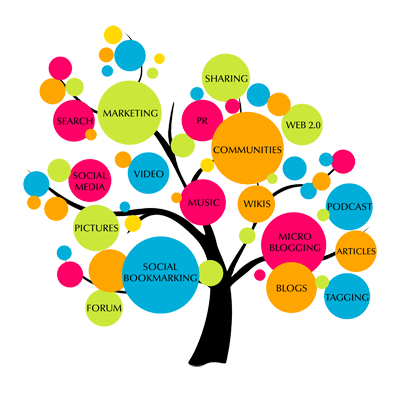 Capturing your previous, and potential new clients email addresses can be just like having a money tree. However, it is very important to build a trusting relationship first, and email can be the perfect tool if used properly. Fresh Frog Design have many years of experience with email marketing and can provide you with a full email marketing service, from capturing the leads, to ongoing email communication, the right way. What we mean when we talk about conversion is when a visitor to your website takes an action that you want them to take. But what does that look like to you? It could be signing up for an email newsletter, creating an account with a login and password, making a purchase, downloading your app, or something else entirely. Whatever it is you want your visitors to do, this action is what we will help you to measure and to optimise, making sure you get the maximum value from every website visitor. 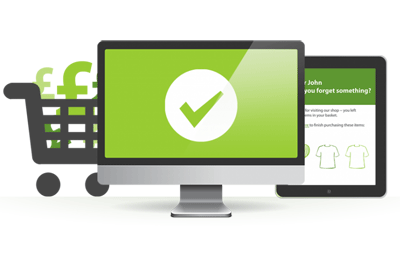 We build a full range of websites here at Fresh Frog Design, from full e-commerce sites, to real restate, to small brochure sites for local businesses. All of our websites include the following though, regardless of cost or size. Fresh Frog Design create fantastic looking and future proof websites that work on all devices to maximise your online presence and in turn your business. You will always be able to contact a real person – we are only an email or phone call away. We live and work in Javea, Alicante, designing and creating great websites for our many happy clients. SEO is very simply, maximising your websites potential ranking on the major search engines, such as Google and increasing the number of visitors to your site. We provide a full social media service so that your business can be online and engaged with your potential clients, without you spending hours on Facebook. Are you making the most of your current website? Many companies are wasting many potential sales due to poor web design, and unclear messages. If you would like to see a few of our latest projects, then check out The Locksmith Birmingham and Carpet Cleaning Birmingham. These 2 sites are for the same client, hence the similar design! !